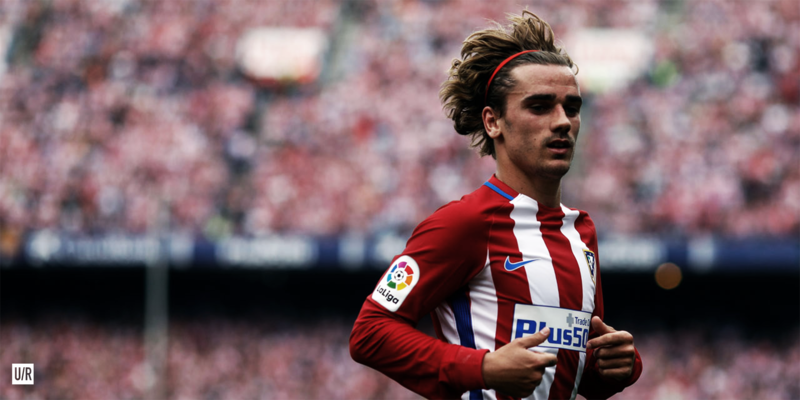 Ever since his more than impressive performances at Euro 2016 for the French national side, in which he won the tournament’s Golden Boot and Best Player awards, Atletico Madrid striker Antoine Griezmann has been constantly linked to a big money move to some of the world’s biggest and richest clubs, with one of these inevitably being Manchester United. This summer in particular has seen Griezmann linked to the former champions of England more than ever before, and for very good reason. It’s clear to many that Griezmann is one of the best forwards in the world, and whatever the price, the Frenchman would make an excellent acquisition for Manchester United. So here are three ways the French international would improve Jose Mourinho’s side if he was to sign in the summer. Probably the most obvious reason why the Atletico Madrid man would improve Mourinho’s side. Griezmann, as previously stated, is one of the best forwards in the world, with probably only the ilk of Messi, Ronaldo, Suarez etc. being put in higher regard than the Frenchman. Over his three seasons so far in La Liga, Griezmann has managed to bag 60 goals and 13 assists in 110 appearances, meaning that that the former Real Sociedad man has managed to directly contribute to a goal around every 1.5 games. This, considering that the Frenchman plays in a Simeone side that is often very rigid, playing on the counter against more competitive teams and that the Frenchman is usually deployed next to a second stirker, usually in the form of fellow French international Kevin Gamiero or Spaniard Fernando Torres, makes this stat even more impressive. This season, Griezmann has scored nearly a quarter of all Atletico Madrid’s goals in La Liga (16/67). Take out these goals, and Atletico Madrid would be 13 points worse off with 65, which would put them 6th, just ahead of the Frenchman’s former side Real Sociedad. These stats alone show how vital a player Griezmann is to this Atletico Madrid team, and how big a part he could play for Mourinho’s side if he were to sign. The second way Griezmann would improve Jose Mourinho’s side would be his high level of versatility. The Frenchman, as previously shown for Atletico, Sociedad and the French national side, can play in a variety of positions across the frontline. For Atletico, the Frenchman plays as either the a primary or support striker in a 4-4-2, with the majority of the ball being fed to him when Atleti are in possession. For Sociedad, he was primarly used as a left or right winger in a 4-3-3, mainly using his speed and dribbling abilities to his benefit. For France, and particularly at Euro 2016, Griezmann was used as an attacking midfielder and was often deployed behind the striker, usually Arsenal frontman Oliver Giroud, in a 4-2-3-1. These are all examples of the wide range of versatility the Frenchman has to his game and all show how the Frenchman could easily be used as more than just a striker in Mourinho’s side. The third way the French international would improve Manchester United, and the one that could potentially have the biggest impact in the long run, is his experience. Griezmann thrives in big matches, especially when the team he’s playing in are seen as the underdog. Since the Frenchman has arrived at Atletico, Griezmann has scored against Barcelona, Real Madrid and Bayern Munich in both La Liga and the Champions League knockout stages, as well as scoring five of France’s nine goals in the knockout stages of the Euro 2016, including two against world champions Germany, as Les Blues’ went on to reach the final. Although there are obviously more experienced players out there, for Griezmann to have done what he has at the age of 26 is impressive to say the least. The experience the Frenchman has gained already in his career could greatly benefit the younger and lesser experienced player’s in Mourinho’s Manchester United side, such as Marcus Rashford. Rashford has previously described the impact that Swedish striker Zlatan Ibrahimovic, by saying “What I have learnt from him is irreplaceable”. This, considering Ibrahimovic has only been at Manchester United for less than a year, means that if United were to sign Griezmann, the impact he could have on Marcus Rashford’s career in the future could prove to be more than significant. How excited can we get about Axel Tuanzebe?